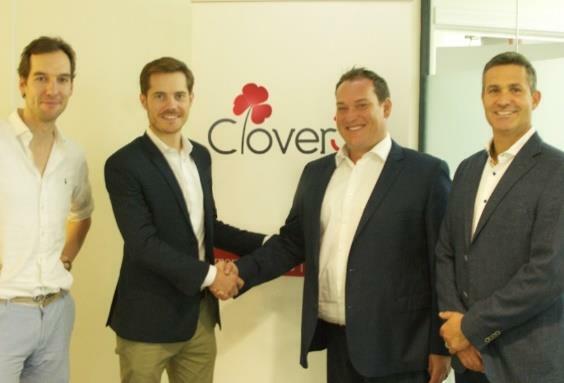 Australia’s leading corporate catering provider – Order-In – has taken over major competitor Clover3 in the company’s latest move towards dominating the national market. This strategic move takes place only a year after Order-In itself was acquired by the global B2B Food Group. And the business has continued to go from strength to strength since. In 2018 the business’ sales grew almost 40% and in January alone there was a 50% uplift in sales compared to the same month a year ago. In addition to this, the entity is currently servicing well over 9,000 customers around Australia and works closely with 1,000 local suppliers across the country, having increased its clientele by 50% in 2018, and 40% in 2017. It’s not just the sales and servicing that is experiencing fast-tracked success, with the Order-In team also going through significant developments. Head count is presently growing at 20% every year, and in the last six months alone they have doubled their teams in Perth, Adelaide, Brisbane and Melbourne. Jonathan Rowley, who founded Order-In 19 years ago predicts this number will increase in the coming months. A key hire during this evolution is Markus Albert, who has been appointed as Co-Managing Director. Prior to joining Order-In, Markus worked at meal kit delivery service, HelloFresh, where he was responsible for leading and further expanding their presence in Australia and New Zealand and strengthening their daily operations. The purchase of Clover3 will also lead to an additional 1,000 new customers joining the Order-In platform and will see an extra 15% growth on top of the current projections.